There are many soft modes of transport in Lyon, but it would appear that cycling is becoming a preferred means of transport with a 10% increase between 2016 and 2017. It should also be noted that since 2010, bike traffic has more than doubled! The arrival of Vélo’v city bikes 12 years ago undoubtedly contributed to the democratisation of the bicycle as a means of daily transport. Cycling has been made accessible to all, and bicycle lanes have developed in parallel with the Vélo’v city bike offer. 10 years ago, there were 339 km of bicycle lanes; today, there are 791 km. With the increase in traffic, the city is anticipating and rolling out solutions for 2020! The public transport system is also expanding. This is the amount invested by Lyon Metropole. One goal: to go further, faster. For this, several projects are either underway or being studied. A new tram line, the T6 line, is currently under construction and will be operational by 2019. The new line skirts the city centre and connects Debourg and the hospitals in the east of the city in just 21 minutes. It will also cross with all other tram lines at various points, except the T3 line. 600 trees will be planted along the 6.4 km of this new line. 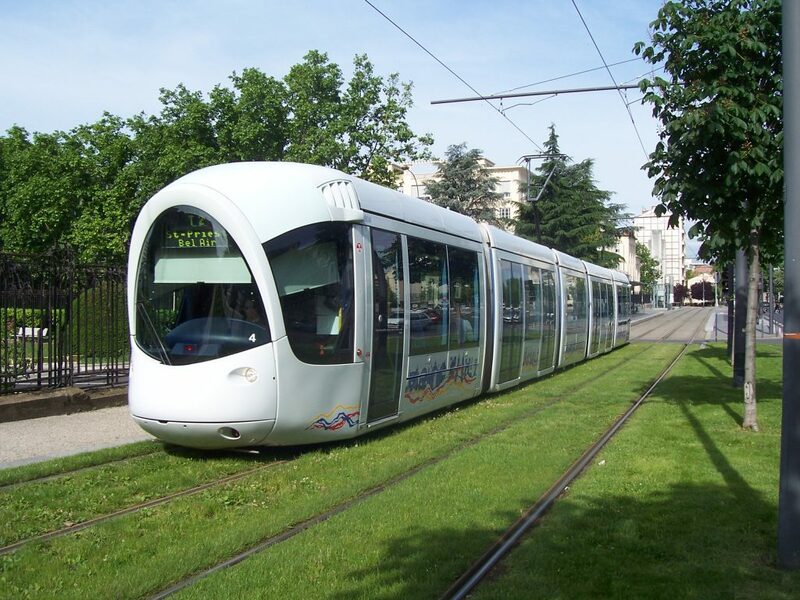 Metro B, meanwhile, is being extended 2.5 km south of Lyon. Two new stations will be built, to serve the centre of Oullins, as well as the Saint-Genis-Laval Hospital, to which 4000 employees and 4500 students travel every day. 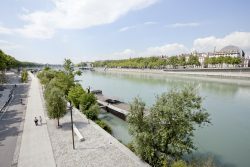 This will also make the centre of Lyon more accessible to the 100,000 inhabitants in the south-west of the metropolitan area, with only a 15-minute journey from Saint-Genis-Laval Hospital to the Part-Dieu train station and central business district. A fifth metro line, line, is currently being studied. The goal is to better connect the west of the city to the centre and to make it more accessible. This 6.6 km extension will not be complete until 2030. 12 years after its launch, the Vélo’v city bike service is being modernised and its service is improving! The bikes will be made lighter and stronger with a more secure attachment system, and there will be a smartphone holder on the handlebars to help cyclists navigate more easily too. 4000 new Vélo’v will enter into service in July! In the meantime, a new application is available, with some very useful new features enabling users to “grade” bikes, making it easier for maintenance services to trace and locate those bikes in need of repair. By 2020, an additional 1000 new Vélo’v should be made available across 80 new stations and existing expanded stations (675 new terminals in the most used stations). 40 new stations will be installed in 21 towns, and 348 stations will be renovated. 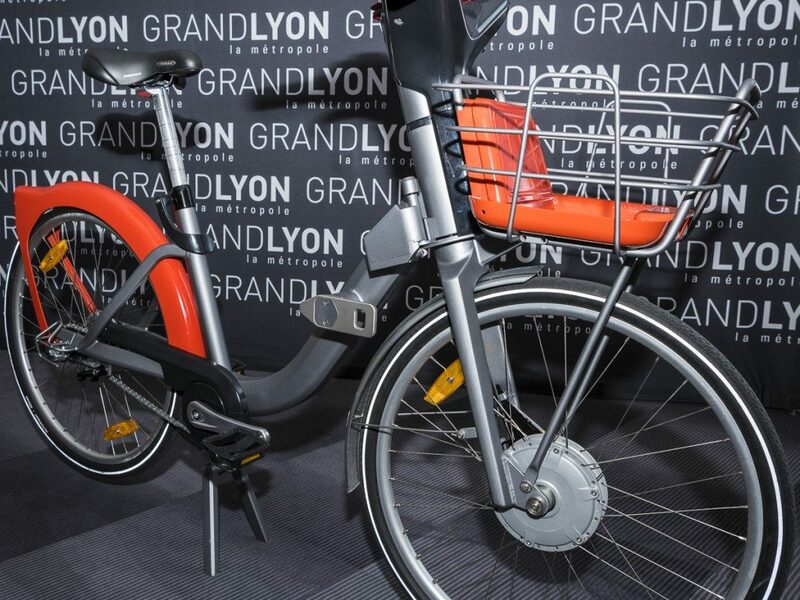 Finally, 100 electric bikes will be available in the city at the end of June, and an additional 500 will arrive in September. The city is also investing in personal bikes by awarding €100 to anyone who buys an electric, foldable, or cargo bike, or scooter, whether brand new or second hand. The only condition is that the bike be bought from a local supplier. This offer has been in place since May and will continue until December 2018. Finally, to accommodate all these bikes, bicycle lanes are being developed, especially along public transport lines.